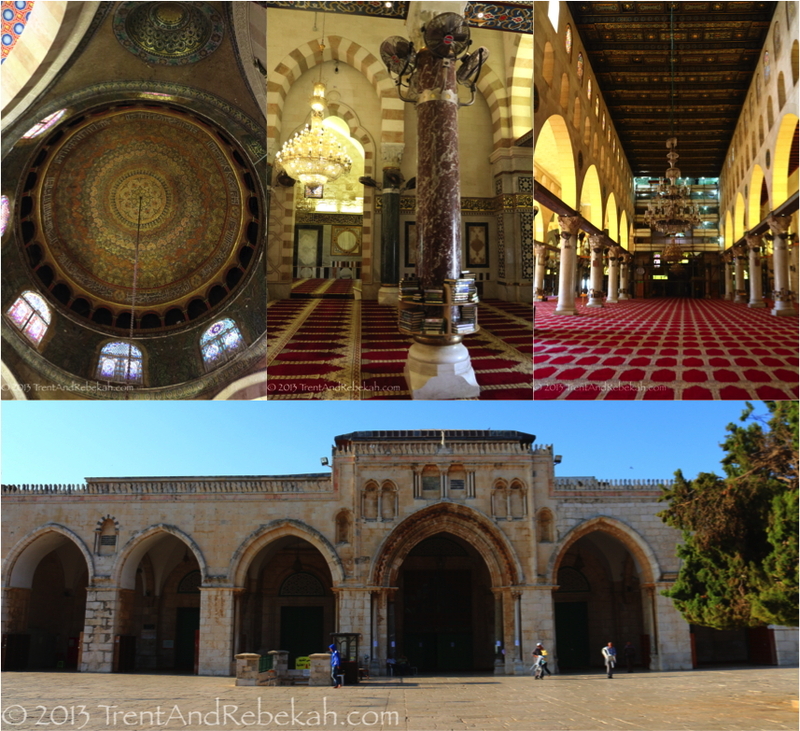 From Caesarea Maritima to Tiberias…in a Day! So! 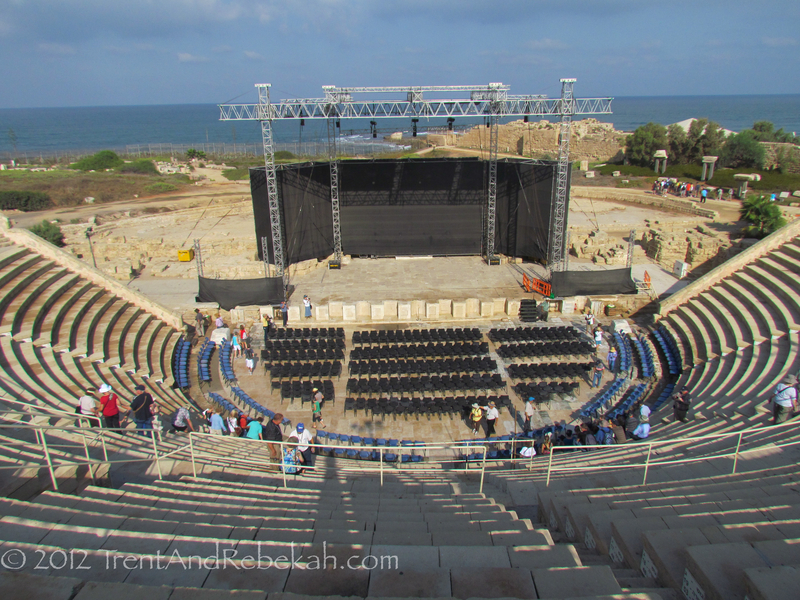 Today was a busy day–we left Netanya bright and early and arrived in Caesarea Maritima (aka, Caesarea of the Sea). A noteworthy archeological find here is the Pilate Stone. This is a slab of marble discovered under a step in the theater (having been repurposed from an earlier dedication). Most of the words have been worn away, but we can still read that Pontius Pilate, Prefect of Judea, had dedicated…something…to Tiberius Caesar. This gives us tangible evidence of Pilate, backing up the 4 gospels’ account, as well as Josephus (Jewish historian) and Tacitus’ (Roman historian)–placing Pilate as a historical figure during this era. The actual stone is housed in the Israel Museum, which we hope to be seeing next week. From the theater, you can stroll down the promenade in front of the hippodrome and amphitheater. It’s fun to tie our stories together, so here’s one: When Vesuvius erupted in 79 BC, wiping up Pompeii, Herculaneum, and Pliny the Elder, it also created a tsunami which swept down as far as Caesarea. The wave took out half of the seats there in the amphitheater, and you can still see them today, laying rather pitifully along the beach. 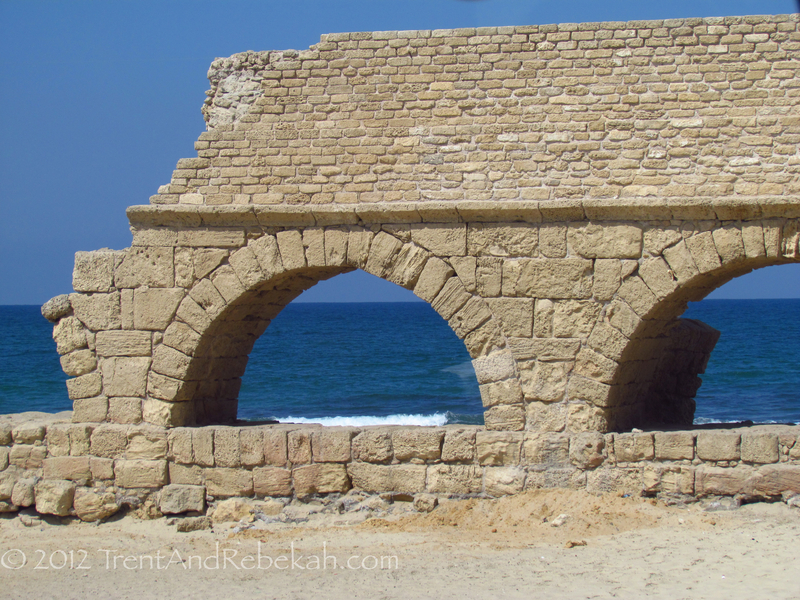 While Caesarea Maritima was built nearly on top off or in the water, it did not have a natural freshwater source. 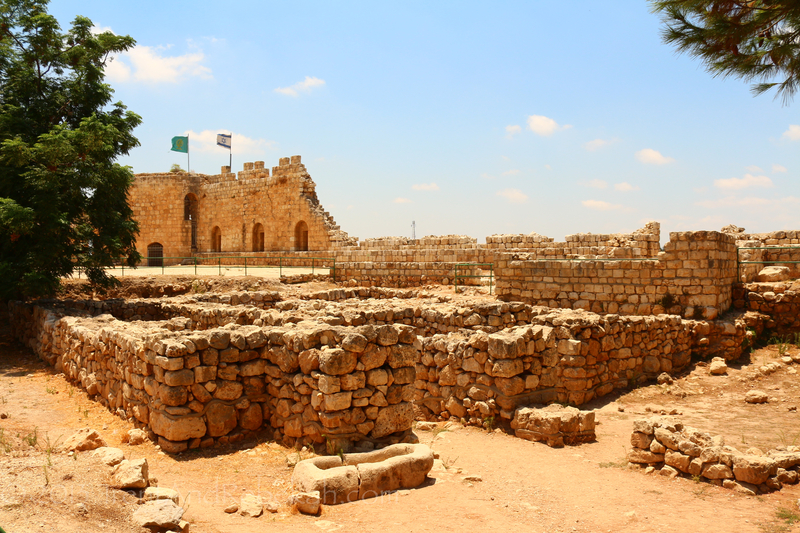 So, how did Herod fill his private swimming pool? Through the aqueduct he built, bringing water from the foothills of Mt. Carmel–about 8 miles away. After that, was a quick jaunt to Mt. 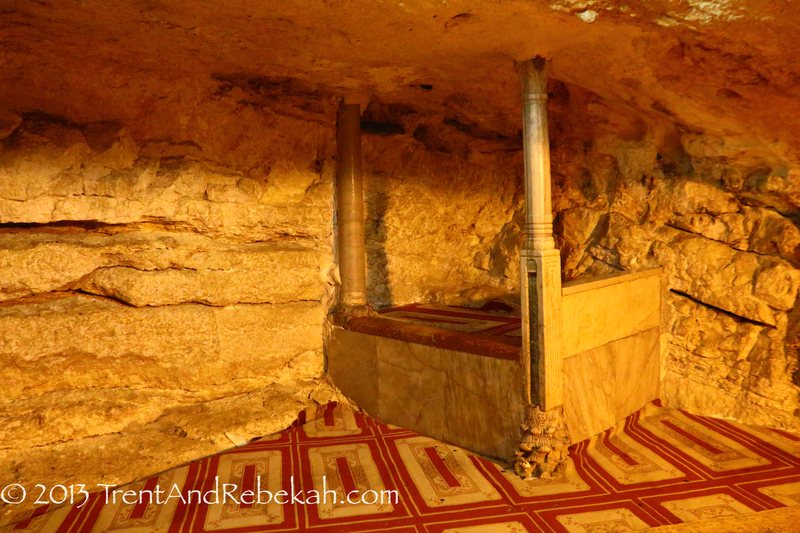 Carmel, to the traditional location of what may be one of my favorite Bible stories–Elijah v. Prophets of Baal. 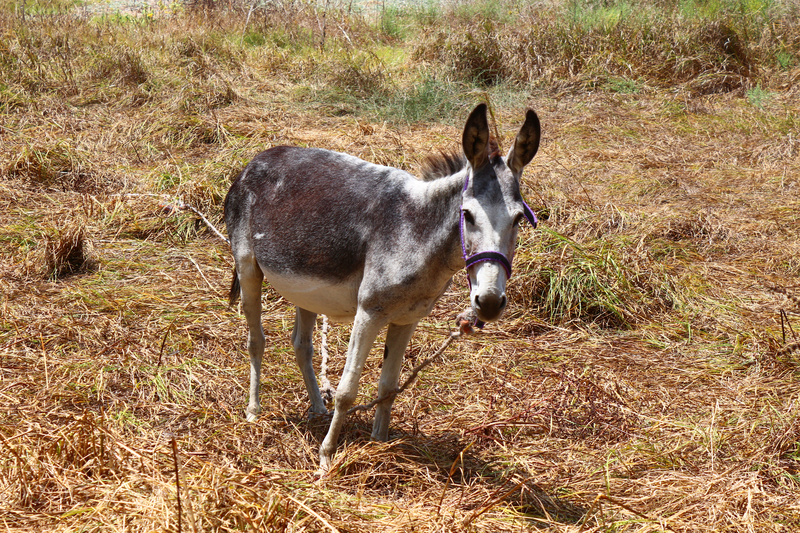 This particular location is considered a possible site, due to its proximity to the nearby mountains (Moreh, Tabor, and Gilboa), the Kishon brook, and the valley of Jezreel. The only issue is that it is quite a ways from the closest source of water that one would have after a 3-year drought (being the Mediterranean). Our guide, Ferrell Jenkins, suggests that often large amounts of water would be kept in store for religious use, and so there would have been some on hand. 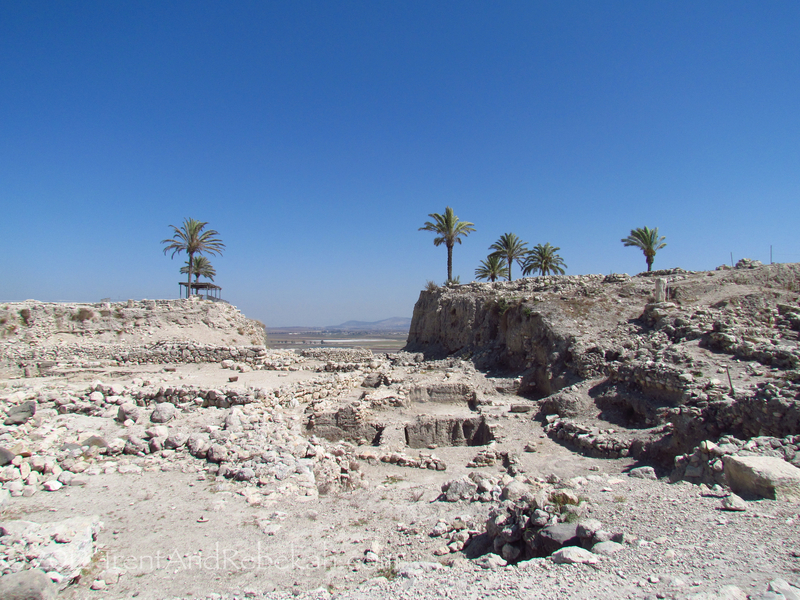 We visited Megiddo afterwards, climbing up to the top of the tell, or hill of ruins. 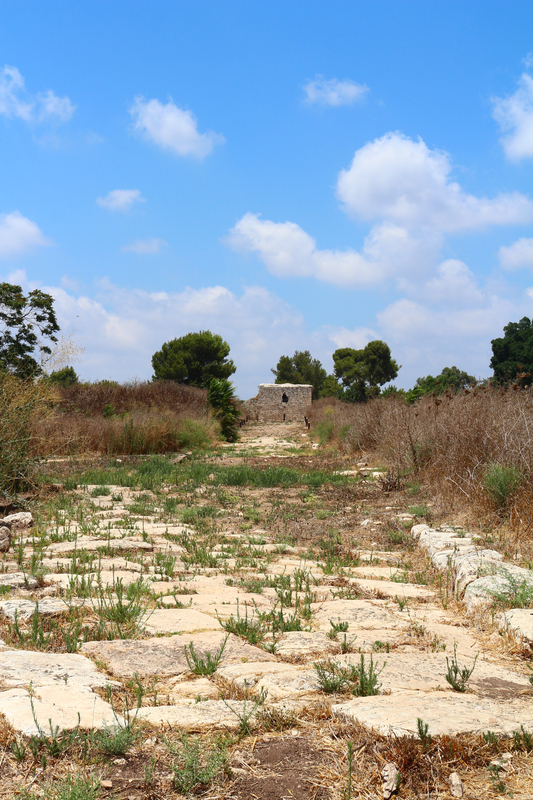 In this case, 26 layers of ruins have been discovered on this site, beginning around 7000 BC. 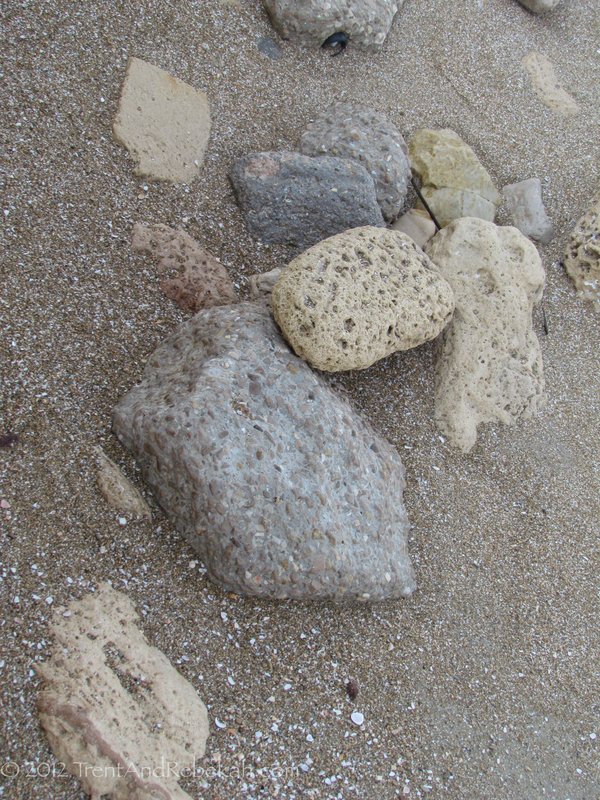 This is a strategic location, on the trade route known as the Way of the Sea. Whoever controlled Megiddo controlled access to this route, providing a wealth in taxes and goods. 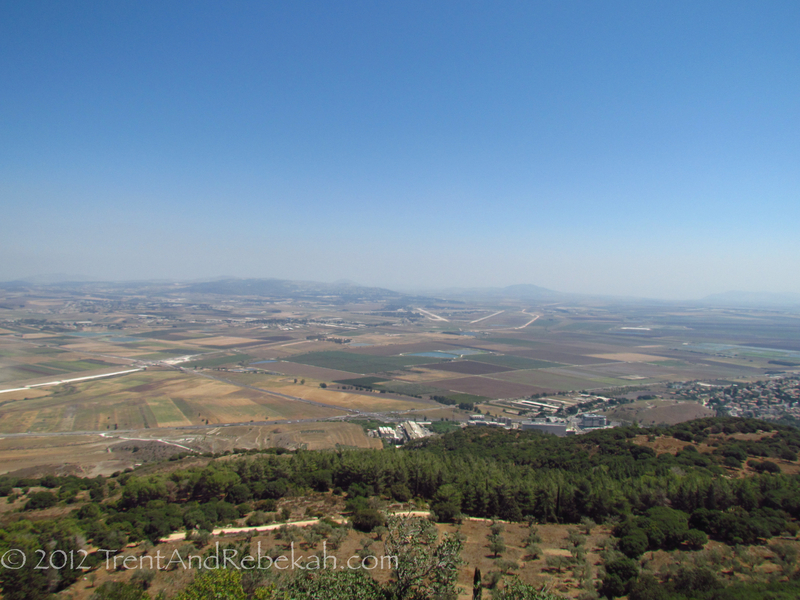 Solomon kept a chariot city here, as well as Ahab, who did a lot of work on the place. 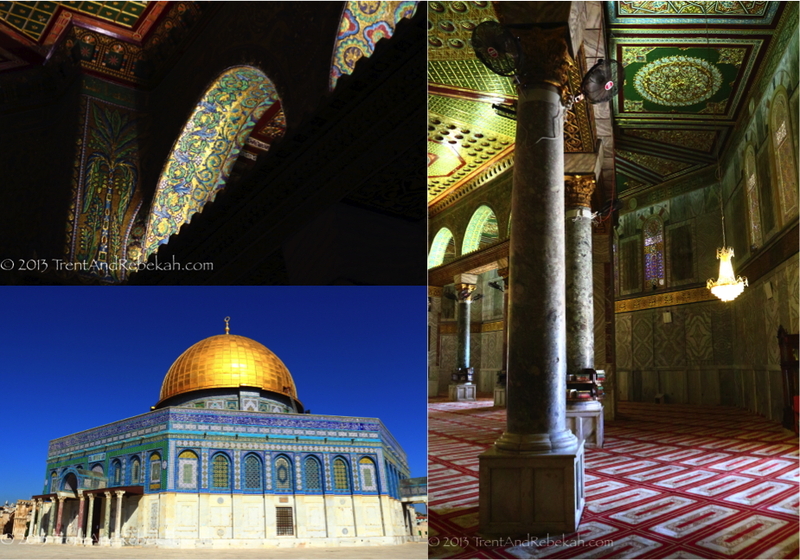 Most notably, he developed a water system to protect the city from siege. He had a shaft sunk 115 feet down, opening into a 330 foot tunnel leading to water. We were able to climb down into it, and it was deliciously cool compared to the bright sun outside. 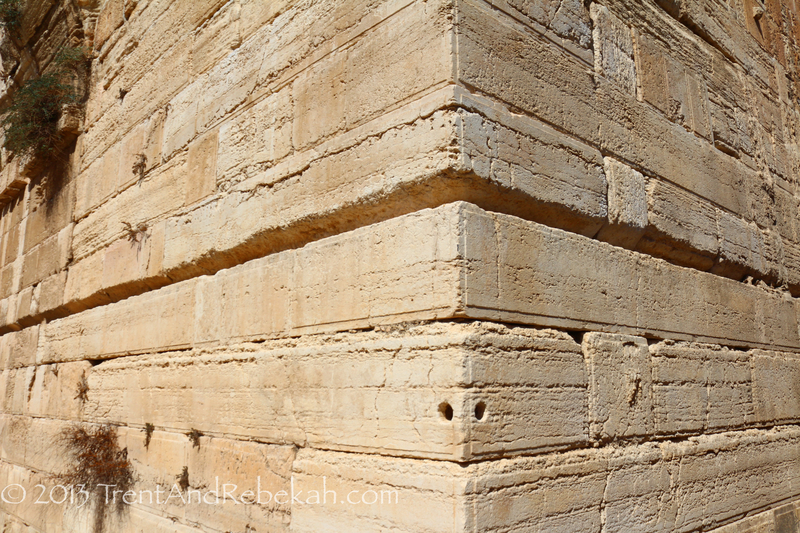 Another notable incident at Megiddo was the death of Good King Josiah. In 609 BC, Pharaoh Necho marched up from Egypt to aid the Assyrians in a final pitched battle against the rising Babylonians. 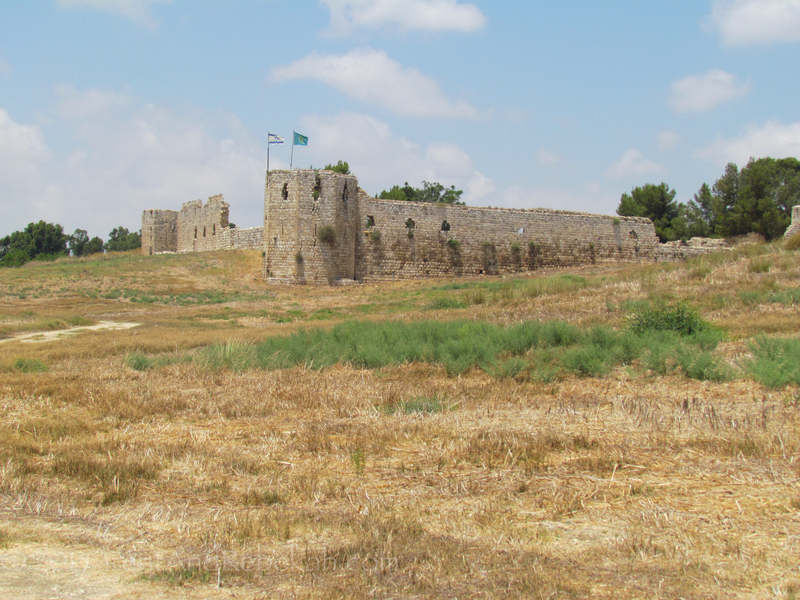 In order to prevent this alliance, Josiah intercepted Necho here at Megiddo. 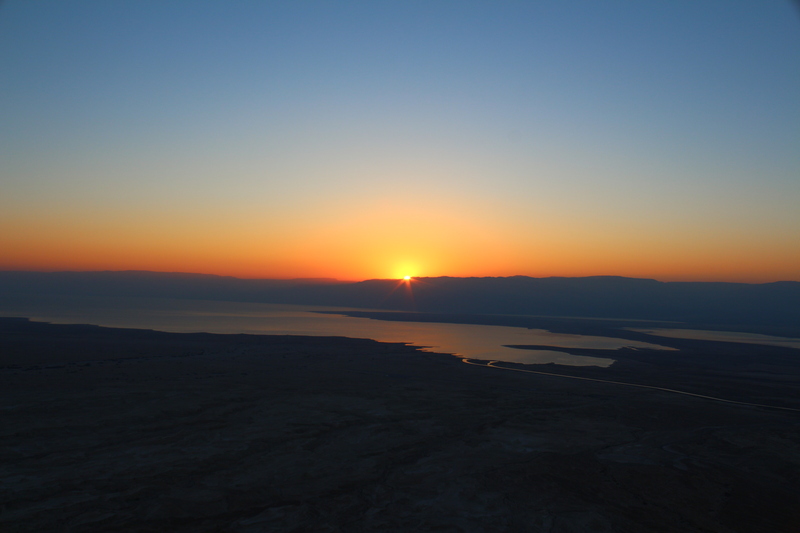 It went badly–Judah was defeated. 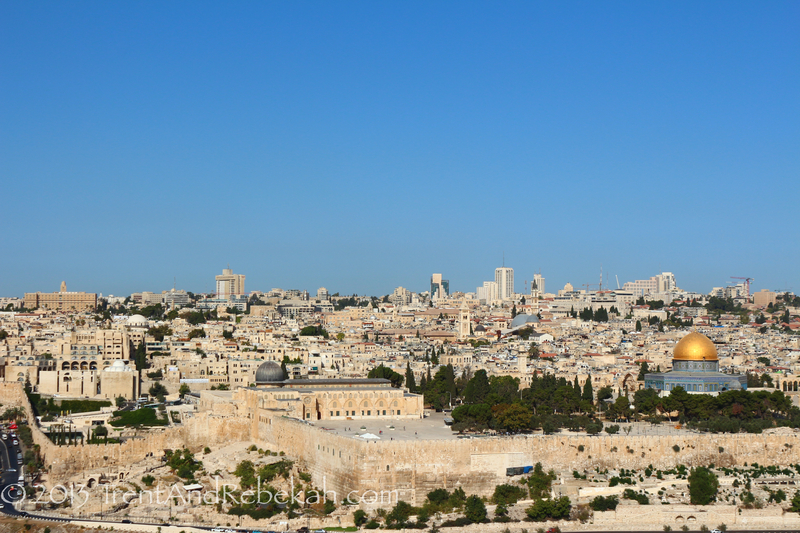 Josiah was killed, sparing him from seeing the fall of his nation. The Israelites forever after associated this as a place of decisive battles and grievous loss, which Jehovah calls to His people’s minds in Revelation, when He names the site (Harmegedon) for the figurative final battle in which His people would emerge as victors. 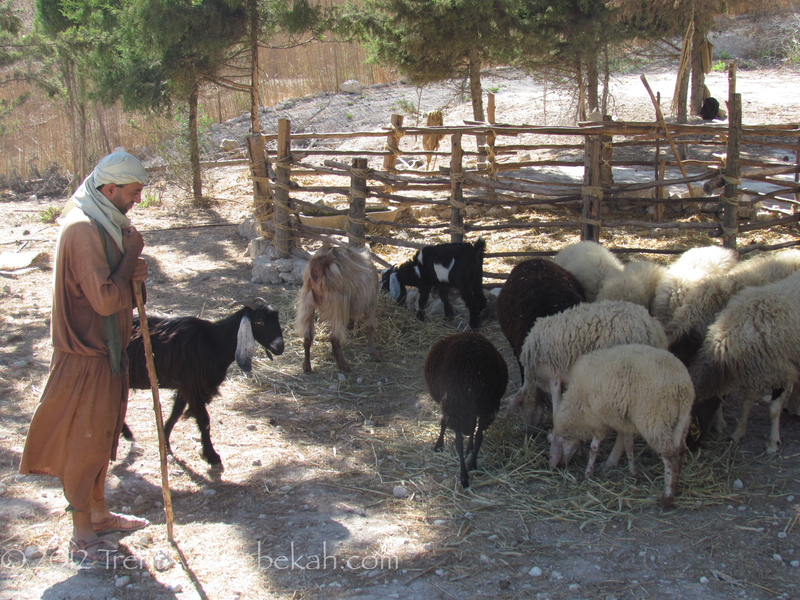 After a stop at the Nazareth village, a lovely recreation of 1st century Nazareth (during which the my hat blew off like a piece of chaff floating on the wind, and was rescued by the kind shepherd before the goat could get it), we ended our day here on the shores of Galilee. But more on that tomorrow.